Uncover Portland’s dark side on this spine-tingling walking tour – all while sampling 6 local beers at two historic pubs. This tour includes an exclusive 20-minute visit underground in one of Portland’s original Shanghai Tunnels. Lively with restaurants and nightlife today, 100 years ago the Historic Old Town District was home to many of Portland’s less savory establishments – opium dens, brothels and underground speakeasy’s. In the 1800’s, locals steered clear of Portland’s “North End” as it was notoriously dangerous and a hotbed for kidnapping. On this tour, you’ll venture underground into the Shanghai Tunnels and see where unknowing sailors were ruthlessly abducted. This rampant kidnapping earned Portland the reputation as one of the most dangerous port cities in the Western hemisphere. Our expert tour guides regale you with stores about these infamous criminals, their victims and the ghost’s they’ve left behind. This tour includes an exclusive 20-minute visit into one of Portland’s original Shanghai Tunnels. Please note you will encounter dirt/mud floors and a dark, enclosed space during this brief underground experience. This eerie tunnel system has been featured on the TV show “Ghost Adventures” and is known as one of Portland’s most haunted places. The Haunted Pub Tour is roughly 2.5 hours. 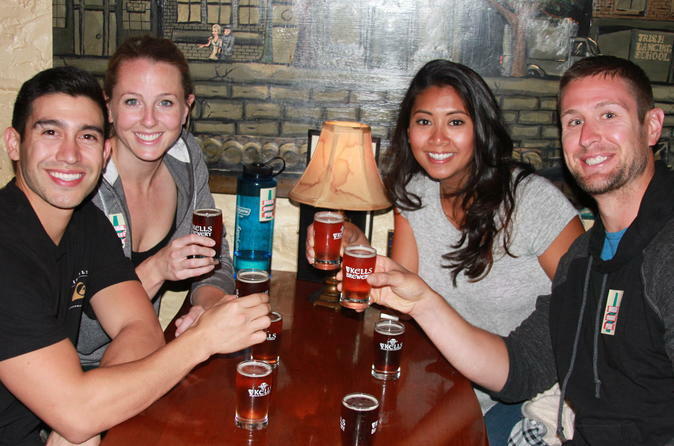 The tour stops at 2 local pubs and includes 6 local craft beer samples. It has been rated as ‘mildly' spooky and is a 50:50 mixture of history and hauntings.